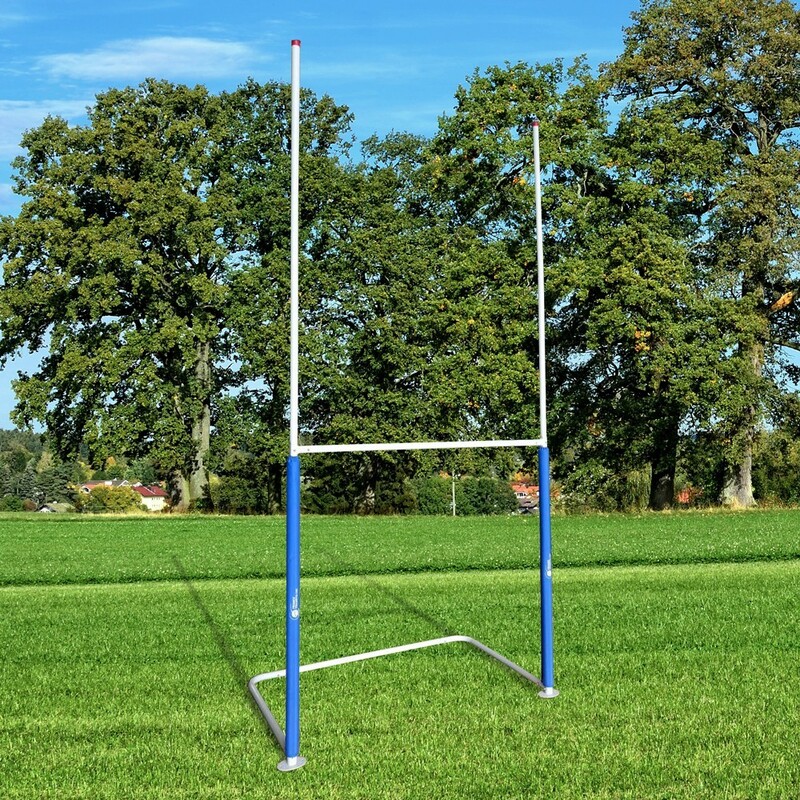 Particularly tough, the rugby goal is made of hot dip galvanised steel and assembled with "T" junctions. 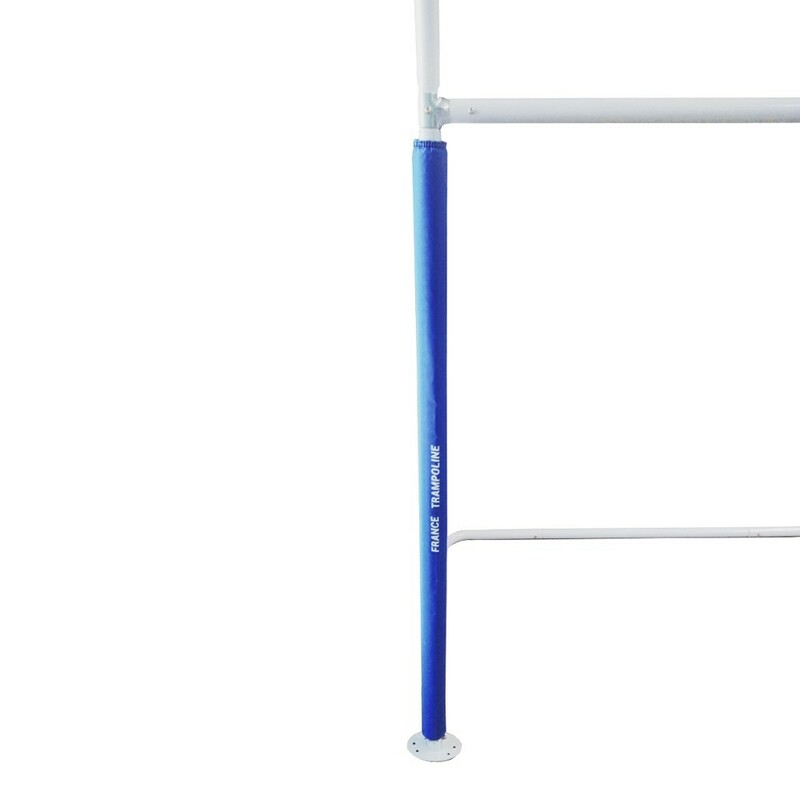 It offers the excellent resistance to weather so you can continue training outdoors all year round. 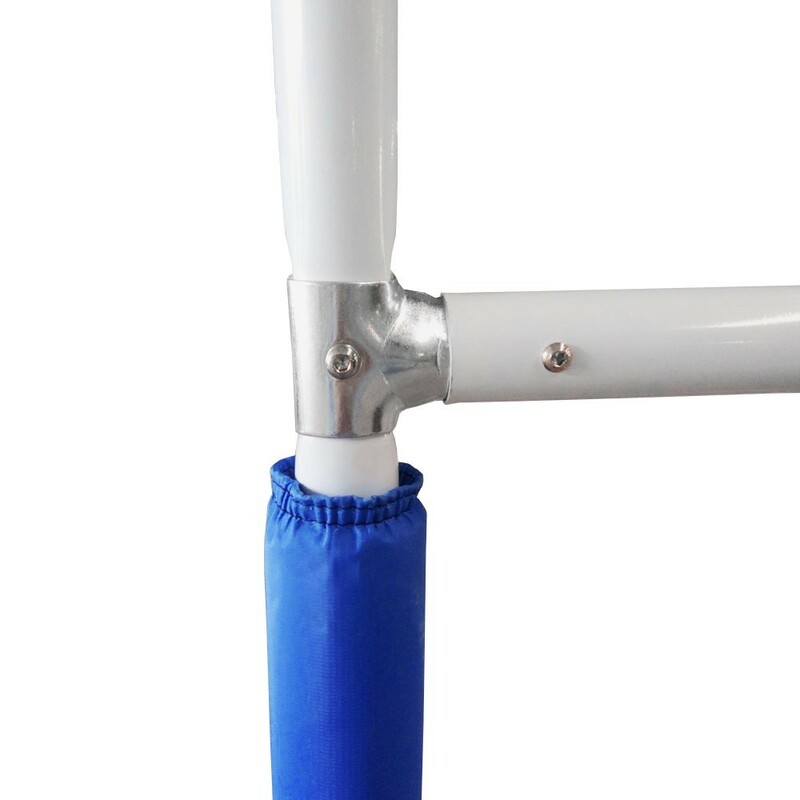 The uprights are covered with EPE foam padding with a PVC protection for safety. 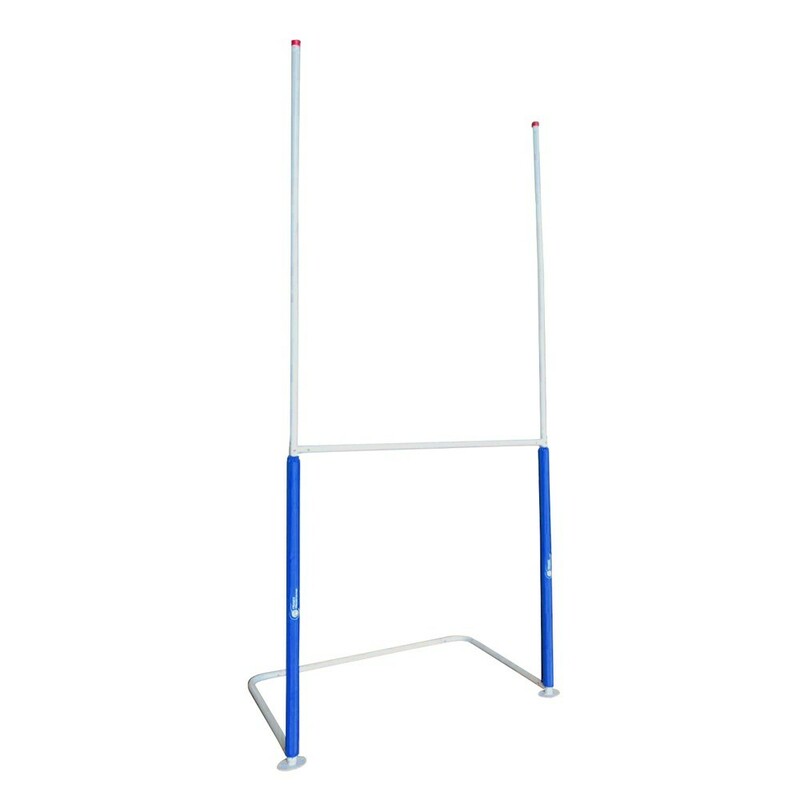 The structure is a white painted with red plastic caps on top of the uprights, and 2, 2 mm thick steel base plates for a brilliant stability. 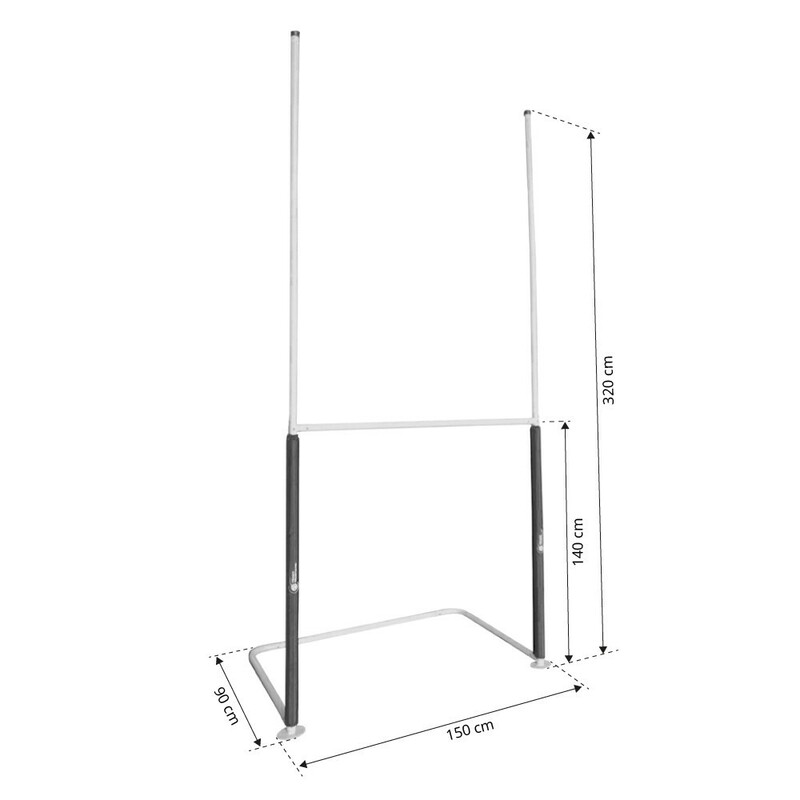 Delivered with an anchor kit with 6 straps, this rugby goal is to be assembled by an adult. Not suitable for children under 36 months. 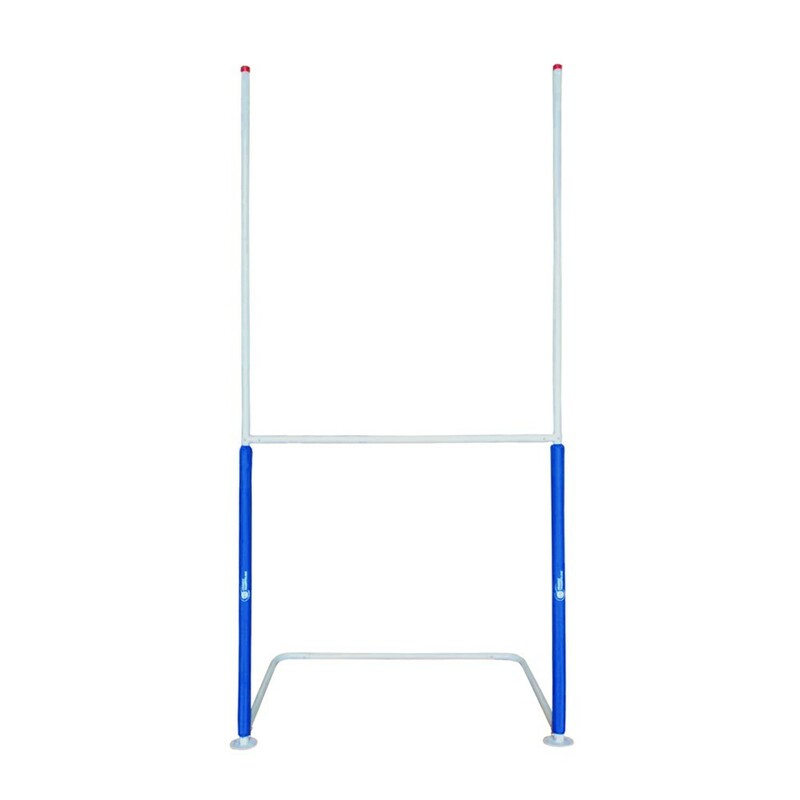 Do not hang on the crossbar.